The securities industry’s self-funded watchdog is moving forward with a rule to bump up the number of arbitrators available to be selected for panels judging claims against brokers. In a filing to the SEC earlier this month, the Financial Industry Regulatory Authority proposed to increase to 15 from 10 the number of "public" arbitrator candidates available for advisors and claimants to consider when compiling a panel to hear complaints. While either party can strike an arbitrator, most of the time it’s defense lawyers who use the provision, notes Scott Matasar. “This new rule will only make the process worse for advisors – it’s going to dilute the quality of the whole arbitration process,” says the Cleveland-based defense attorney who specializes in regulatory issues. 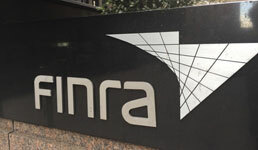 Finra’s proposed change is sidestepping a key issue, adds Matasar: the need to create more robust competency guidelines for selecting outside arbitrators. In claims of $100,000 or more, panels are typically chaired by public arbitrators, according to Finra. As the process currently is set up, parties are given a list of 10 “chair qualified” candidates, and each side is allowed up to four strikes to remove candidates. Advisors and claimants alike are also provided lists of 10 potential public candidates, again with four strikes per party permitted for each case. Then, another list of 10 non-public names is provided. But that list has no restrictions on strikes allowed. As a result, supporters of Finra's proposed new rule see a need for more names of possible teachers, educators and other non-industry professionals to be included in the selection process. But Craig Zafis, a San Diego, Calif.-based defense lawyer who specializes in working with advisors on regulatory cases, argues that many times outsiders just don’t have enough knowledge of securities law and products to make informed decisions. The pendulum might be shifting too far to the claimant’s’ side, warns Zafis. “I would like to have at least one industry panelist – like it used to be,” he says. Other industry observers, however, contend that protections are already built into the system to protect against hearings becoming too general in nature. “You can always use expert witnesses to help educate a panel – then the other party is allowed to cross-examine those witnesses,” says Phil Aidikoff, a plaintiff’s attorney at Aidikoff Uhl & Bakhtiari in Beverly Hills, Calif. He served on a 15-member Finra task force which has studied ways to tweak the system. “It’s nonsense that public arbitrators are at a disadvantage – these are smart folks with the ability to hear both sides and let everyone have a full and fair hearing,” says Aidikoff. If approved by the SEC, the proposed language would be published in the Federal Register. A public comments period -- typically around three weeks -- is expected by regulatory experts to be the next step in Finra's push to make such a rule change permanent. Will You Recommend More ETFs in the Future?